Why not give a little touch of jazz when dressing up for the church? Your stylish and sophisticated church dresses need an extra touch of striking accessories. 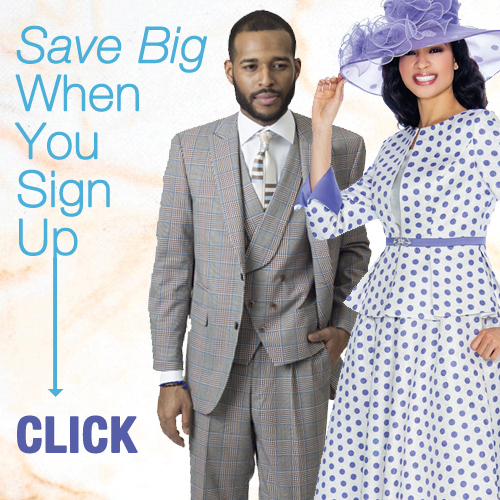 To make your style/ church clothing "pop" it is necessary to include our gorgeous accessories which are church hats inspired by western and royal styling, bags for special events, branded jewelry and shoes to perfectly complement your church outfits. We have a large collection of designer shawls and capes for summer and spring. So, ladies get ready to buy most the most amazing accessories from your one and only online retailer for women church clothing. All our stylish and designer accessories are from the leading resources, including those in London, Paris, Berlin, and Milan. So, give yourself enough time and slowly browse our accessories department. Especially, our hats which are of top quality and designed by top designers to accomplish your special occasions with grace and attractiveness. "Accessories Are Like Vitamins To Fashion"
Such As, You Should Use Them Liberally! It is the right time to give yourself a highly striking and new look with our exclusive designer church dresses for men and women for all different types of occasions. Happy Shopping To All!